One of the best things about practising yoga is having a mat that represents you, so that every time you feel completely at home every time you step on it in the morning. 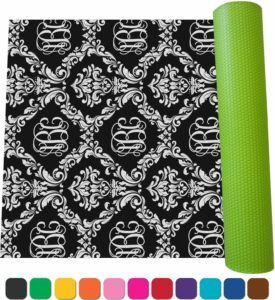 If you’re looking for a new mat then you should consider buying RNK Shop’s monogrammed yoga mat. Read more about it below! When you place your order on Amazon you’ll receive an Email that will detail how you can customize your yoga mat. 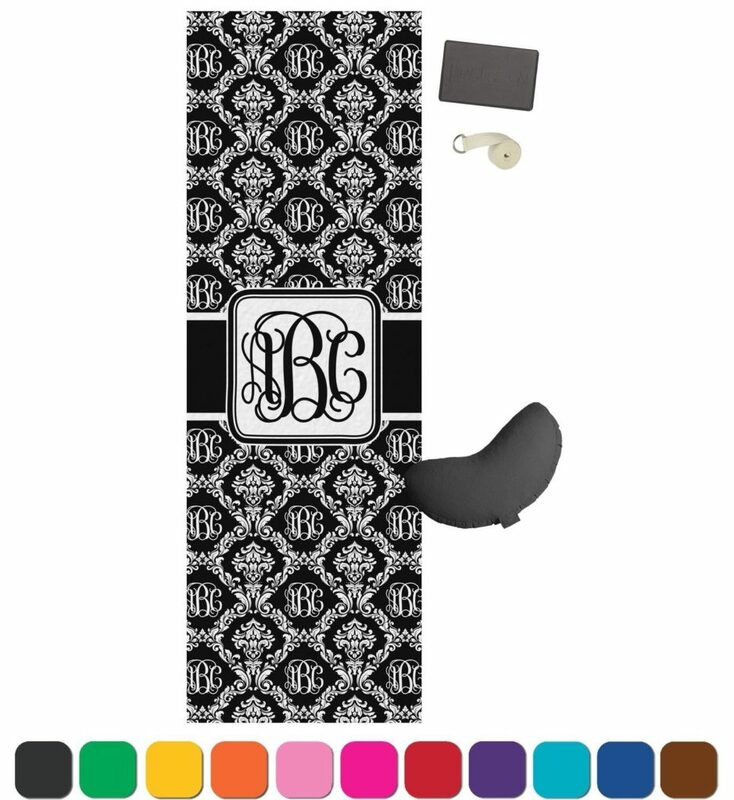 There are all kinds of things that you can customize with this yoga mat; more specifically, you can customize the colour, the ribbon, the initials, name, fonts, etc. When you’re practising, you deserve to have a mat that reflects your own personality, your style, and the essence of your home. There’s truly no better way to practise yoga than this, because it allows you to be yourself, fully and completely. With this yoga mat, RNK Shop has created a very Eco-friendly alternative to the traditional yoga mat. This is because the mat is used with dyes which are not solvents; therefore, they do not cause as much pollution during the manufacturing process of the mat, nor the runoff which is caused by the manufacturing of the yoga mat. It has a non-slip surface, which will aid you in gripping the mat while you’re practising your yoga routine. This is especially important because you’ll have the ability to get the most out of your routine by delving deeper into each asana, otherwise known as pose. Because they’re extra long, you won’t find yourself with your hands on your mat and your feet on the ground, or vice versa; instead, you’ll be able to use the entire yoga mat to go through your practise. At 1.4” thick, you’re provided with the perfect balance between comfort and strength. You’ll have the opportunity to strengthen yourself and to find your grounding with the floor beneath you and stress will be taken off your joints because less force will be going into them to remain steady and strong. It’s creative. Yoga, itself, aids in promoting creativity and prosperity in your life because you constantly have to change from pose to pose and think of variations that will match your level of flexibility. With this yoga mat, you can fully express that creativity by customizing it. It’s cheap. So many yoga mats out there are hundreds of dollars, if not more. That being said, the RNK yoga mat is relatively cheap on Amazon. At only seventy dollars, you can do a lot worse for the money. And the truly amazing part is that you don’t have to worry about sacrificing your own needs or quality for the price of a product. This yoga mat is a must-have for every yogi. At the very least, everyone should have a mat that they can be themselves on. With RNK’s mat, you can customize yours so that you can show off your own style at your next class!